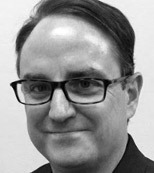 John Thuma is an Aster Big Data Evangelist and member of the Teradata Big Data Practice and Big Data Center of Innovation Practice. He is experienced in large data warehousing, particularly in developing and implementing innovative, meticulous data warehouse/business intelligence solutions for global entities. John has experience across multiple vertical industries including: manufacturing, retail, healthcare, banking, and education.